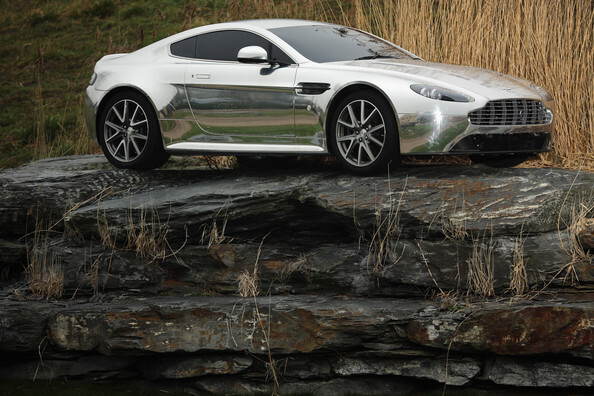 An Aston Martin (motor car) is displayed outside the company headquarters and production plant on January 10, 2013 in Gaydon, England. The iconic British brand is celebrating its 100th anniversary. Lionel Martin and Robert Bamford created Bamford & Martin on January 15 1913, which later became Aston Martin in honour of Bamford's wins at the Aston Clinton Hillclimb in Buckinghamshire. All that’s great, but it's 007’s main ride, and that’s what counts.